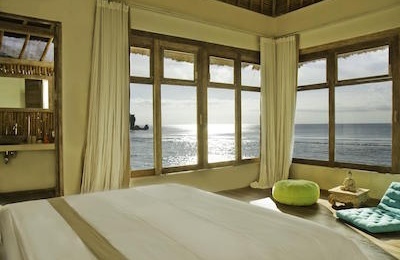 Rote Island Surf House - Nemberala, Timor Guests overall rating: ☆☆☆☆☆ 0 based on 0 reviews. 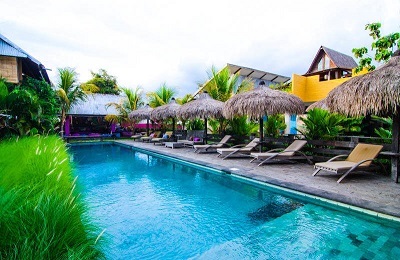 At Rote Island Surf Lodge our mission is to offer you more than just accommodation and food. Our wish is to create a little sanctuary of peace to allow yourself to fully let go, relax and enjoy the moment and its beauty. We are a Lodge that operates in respect and harmony with the environment and local community while working our way more and more towards a sustainable and self-sufficient lodge. Far off the beaten track, Rote Island has its own exotic and distinct character, with clean pristine beaches, raw landscapes, epic waves and lush coral reefs to explore. It’s a remote oasis where animals still roam free and tourists don’t overcrowd the island, perfect for travelers looking for adventure and an escape from the crowds. 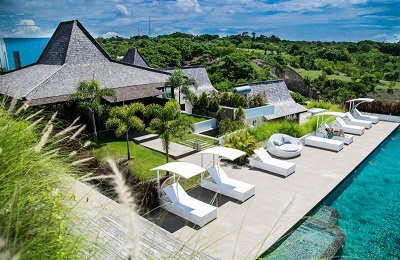 Rote Island Surf Lodge is located on a hill, minutes away from the beach. All suites feature an ocean view. Private lodgings with stunning ocean view. Simple, earthy Indigenous architecture with tasteful touches to make you feel at home in the wild. There is a private bale which can be transformed into an extra bedroom. Outdoor panoramic toilet is something you will not forget. The possibility of 2 extra sleeping spaces. The outdoor shower is a spiraling unit of its own. Our menus are balanced with the season, our garden and the local community. Since we make everything from scratch using fresh ingredients to create a variety of healthy dishes we are able to meet everyone’s needs. We specialize in vegetarian meals, but if requested we are happy to prepare seafood and occasionally can try to catch a wild pig or chicken for you on request. Please do make sure to inform us about any special dietary needs before you come. Rotes many amazing surf breaks are attracting people from all over the world, from the famous Besialu Reef (T-land) to Sucky Mamas and Boas wave. The surf season starts as the trade winds turn offshore from April to November. During the trade wind season (April to November) the island is very dry with little or no rain. The trade winds are very consistent, making every day offshore in Nemberala. They are blowing the strongest in the month of June, July and August. The wave is working with all kind of winds, from light to strong wind. From June through August/September Rote is a swell Magnet. The swell in the shoulder season March/April and October/November arrive less consistent but some big days are not unusual. It is a good time to enjoy Rote with a great variety of waves and less crowd. The shoulder season provides ideal conditions for other islands and the spots around Nemberala. Airport transfer available for extra cost. 1) Taking the morning ferry on the available dates*** to make the afternoon connection flight with either Lion air or Garuda. 2)Taking it easy and without any risks – deciding to spend a night in Kupang on the return day. This allows you to take the afternoon wing air flight from Rote to Kupang and the morning flight from Kupang to Bali the next day. Coming from the harbor go into the main road to Baa and take the first right after the big archway. After 5min driving up the hill, you arrive in Ambore village. If you are coming for a surf trip we will make sure you will get the most out of it! If Father Ocean agrees with wind, tide and waves an estimation of 20 surfs is possible. Yoga classes for 7,50€/ 90 min class. Motorbike with board rack: ca. 4,50€ per day. The prices in our lodge are per night. If you stay more than two weeks we give a discount of 20%.